It seems ASOS can do no wrong when it comes to smock dresses. I have recently been lusting (if that’s a word) after silk smock dresses, midi ones and jersey ones. At fairly cheap prices they make you believe you’re getting a bargain and before you know it you’ve bought 3 and £80 of your wages have literally (well, almost) disappeared. 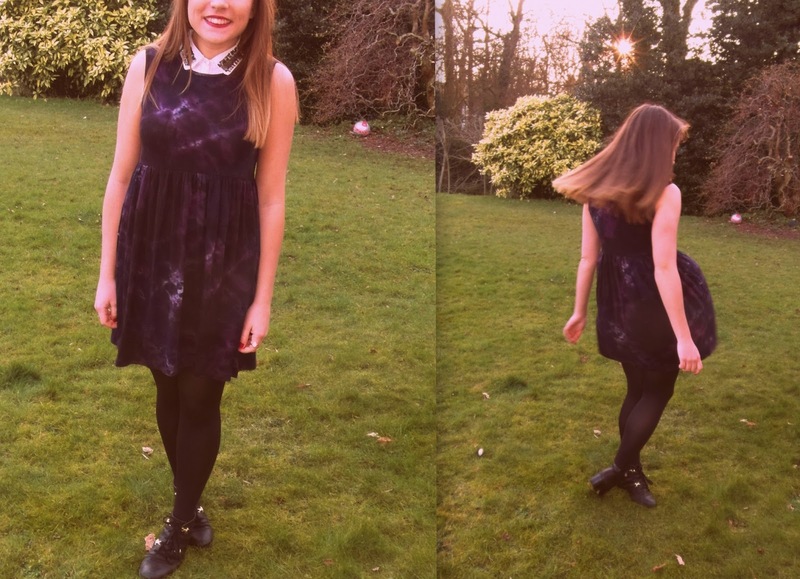 This galaxy print one was £25 which when worn 10 times is £2.50 a wear which is a bargain, right..! Thank Flip it’s Friday soon! Hope you’ve got lots of exciting things planned for the weekend – Have a good one. love this look, the dress at 2.50x 10 is a big deal! take a look at my blog, it will be a pleasure for me!